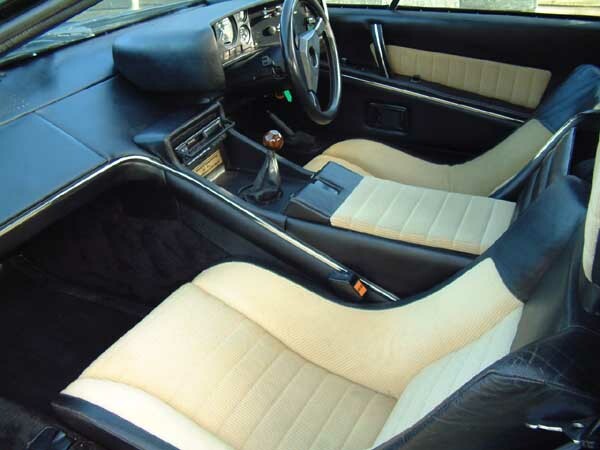 A series of improvements made to the Esprit during its initial run culminated in the S2 (or Series 2) Esprit, which was introduced in 1978. The most obvious of these changes are intake and cooling duct "ears" located behind the rear quarter window, tail lights from the Rover SD1, and an integrated front spoiler. S2 Esprits also used 14-inch (360 mm) Speedline alloy wheels designed specifically for Lotus. Other changes included relocating the battery from above the right side fuel tank (under the rear quarter window) to the rear of the car, adding an access door to the engine cover, as well as replacing the instrument cluster made by Veglia with individual gauges made by Smiths and using different style of switches on the dashboard. During this era, special edition cars were made to commemorate Lotus's racing victories. Sharing the black and gold colour scheme of Lotus' then F1 sponsor, John Player & Sons, these cars are commonly known as the John Player Special (JPS) Esprits. Lotus' records of production figures are notoriously vague, however best estimates suggest that 149 JPS Esprits were produced.